A few weekend's back Jay and I visited Dublin for the first time to surprise one of our friends for a little city break. Neither of us had been to Dublin before although I have been to Ireland a few times, but we were very excited to see what the city had to offer! We were only in Dublin for 48 hours but we wanted to eat, drink and explore as much as possible in the short time we were there. I thought I'd share with you everything we did so you get some inspiration if you're visiting the city too. When booking our accommodation we wanted something cheap and cheerful, in a good location within walking distance to the centre and we also wanted to be close to where are friends were staying too. 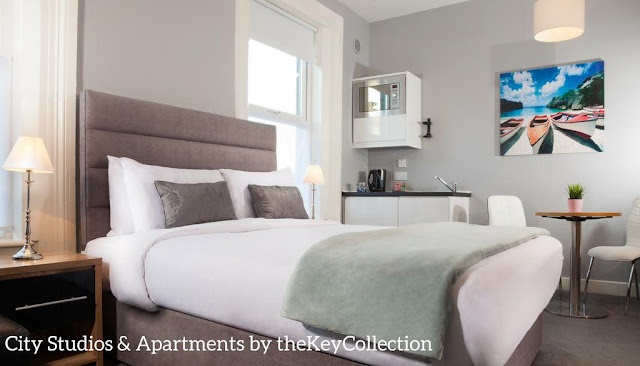 We ended up booking City Studios & Apartments by theKeyCollections which was pretty inexpensive at only £93 per night. It was only a 15/20 minute walk to the centre of Dublin and about 5 minutes from our friends hotel; The Cassidy Hotel and we were right by Croke Park stadium too so a pretty good location. We had a small but cosy room, with a private bathroom and a kitchenette. We barely spent any time in the room to be fair but it was just what we needed. The process from booking online at booking.com to arriving at the key collection place was seamless and we were lucky that our room was only located across the road from the 24 hour office building so it made us feel safe! I would recommend them and would stay there again if we went back to Dublin. We ate a few delicious meals when we were in Dublin. On the first evening we stumbled across The Hungry Mexican which was just what we needed after a few drinks in Temple Bar! I had the chicken fajitas which were delicious and the others had the enchilada and the chimichanga. We all shared some fries and it was so cheap; roughly like 40 euros per couple! On our first full day Jay and I went for brunch at SoMa which was right in the centre of Dublin by the spire. We both had the SoMa breakfast which was delicious but there was also pancakes and poached eggs on the menu all of which looked just as good. We happened to stumble across the place as it looked busy and we were not surprised! It definitely set us up for the day. After a long day exploring the sites of Dublin and visiting the Guinness Storehouse, we all decided we deserved a pizza after walking over 20,000 steps! 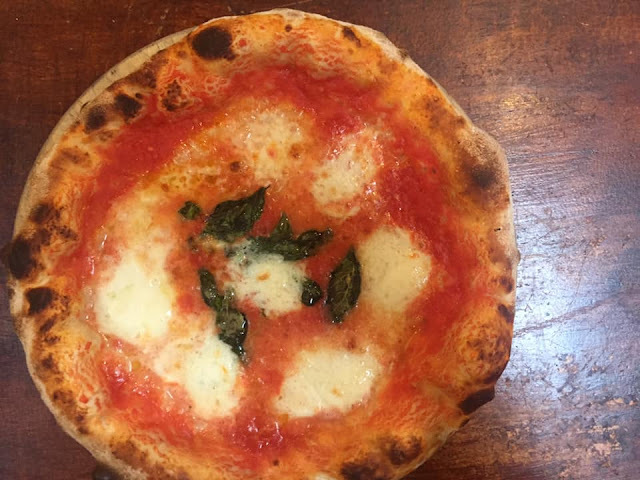 We headed to Woodfire Pizza Cafe which did not disappoint! The owner did everything he could to squeeze us in and after an aperol spritz and a pizza each we were well and truly full! Definitely give is a visit if you love pizza, the homemade pasta also looked insane and we were all quite jealous we didn't order that too! On our final morning in Dublin Jay and I went to One Society for brunch after our friends recommended it having been the morning before. It was definitely one of my favourite meals of the trip. The owner and staff were amazing and the food was delicious! I had the croque monsieur and it was amazing. 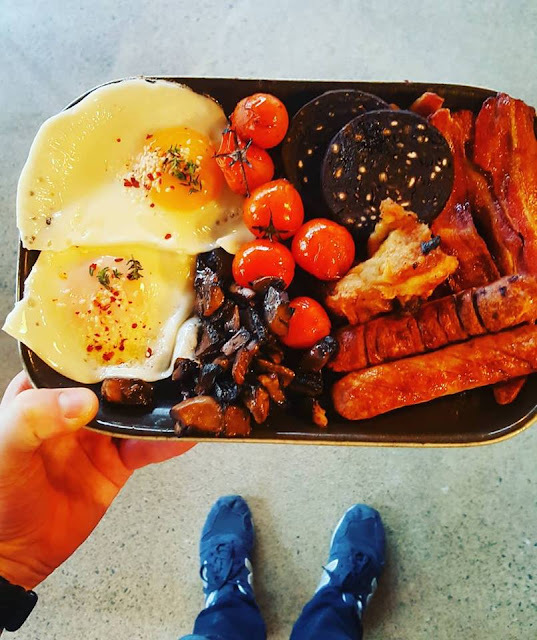 Jay had the Irish full english and it came with spicy beans which were also very tasty! I loved the little spicy potatoes too, so yummy. They served Pizza of an evening and I wish we'd tried that out as well, definitely will do if we ever return to Dublin! Definitely check them out and show some love! 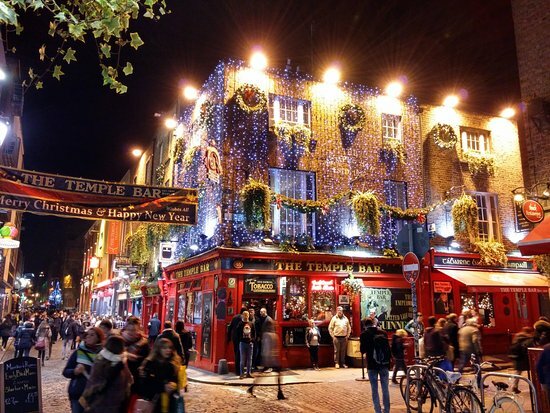 You can't go to Dublin and not visit the Temple Bar area. Although it's expensive, the atmosphere is something you won't get anywhere else in Dublin and the area is buzzing with happy people! Fitzsimons Bar is more of a 'Yates/Spoons' kind of vibe, however it's a fab place to go if you want to hear some great live music that you can have a good sing a long too. Our friend Chloe even lost her voice after all the singing! It was a great laugh, we all had loads of fun singing to all the classics like 'Wonderwall'. Oliver St..John Gogartys Pub was a strange pub, full of lost of men on stag do's but it was quite traditional and again, the live music was an added bonus! The Quays Temple Bar was our favourite bar of the weekend and the first one we stumbled into. The guy singing and playing guitar on the Friday was amazing. He played Ed Sheeran, Beyonce and Be Witched! There were some right classical sing a longs and the atmosphere was fab! Also I tried my first ever Guinness in there too and weirdly enough I didn't hate it! On the second night we visited Exchequer Street which was recommended by a few of the local taxi drivers. They said it was across the river and still as lively but with less of a price tag. 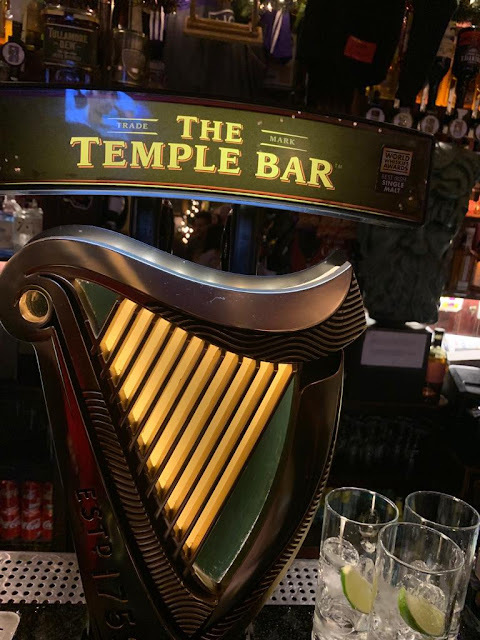 We went to a couple of good bars there; Dakota was quite upmarket and had a great atmosphere, the only downside was there was no live music, which is what we wanted from our trip to Dublin. We also visited South William which was a quieter bar but had a 'chilled' type vibe and we enjoyed having a more relaxed drink. We stumbled into International Bar as it advertised Karaoke and live music. 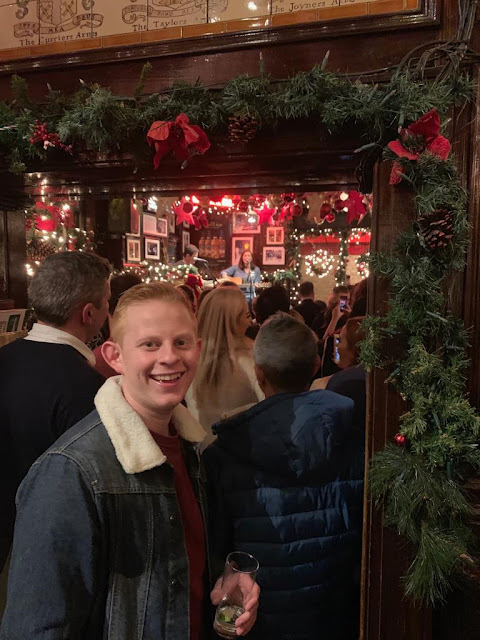 It was a small pub with a tiny bar in the corner and it was a lot more authentic than the other bars in that area, the only disappointment was that they weren't doing karaoke and the live music had stopped! Even though it was a bit cheaper than Temple Bar, we much preferred the vibe on that side of the river so ended up going back there! I won't lie, we didn't do a whole lot of exploring whilst we were in Dublin, we only had 1 full day there and we decided to do some exploring in the morning around the city centre. Jay and I did a spot of shopping, wandered round the markets. 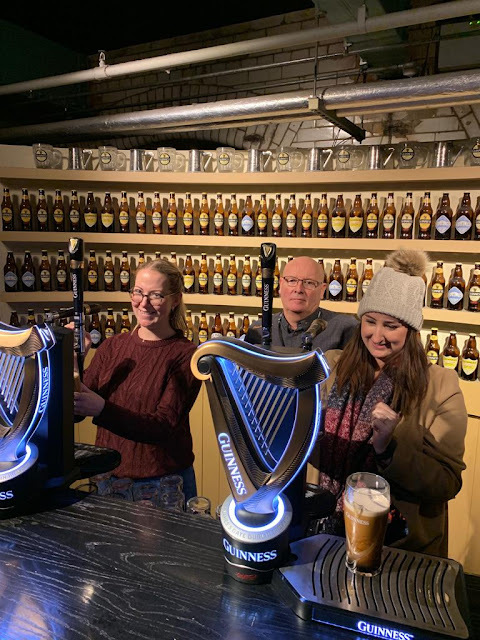 We also visited the Guinness Storehouse Factory which was a great experience. 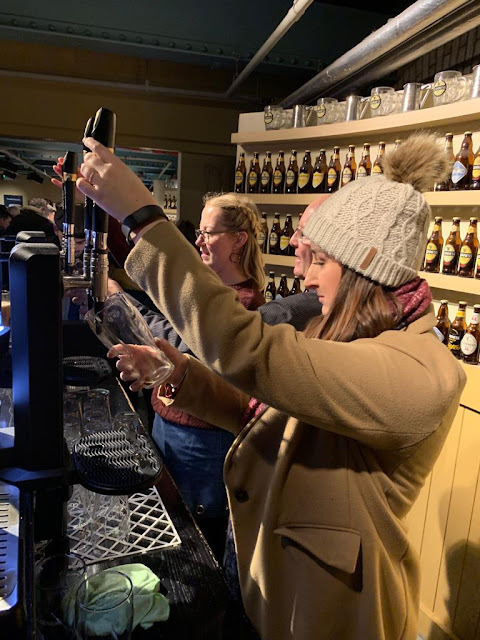 It's one of the most popular attractions in Ireland and you find out all about how Guinness was made and what ingredients goes in it. 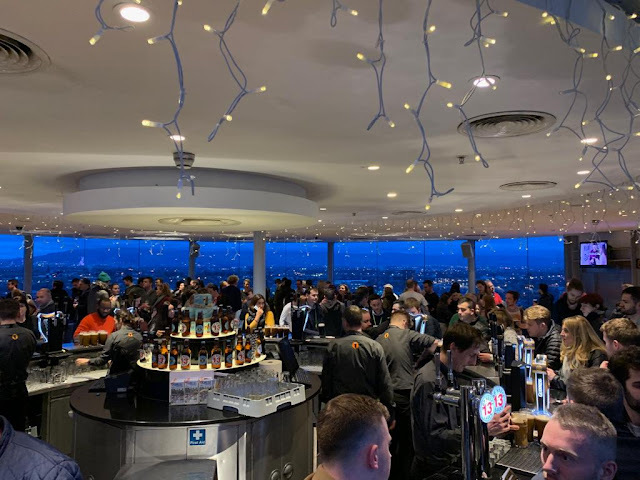 We also got to pull our own pints too and enjoy them from the top floor viewing - you literally get a 360 degree view of Dublin. I would definitely recommend going along for £18.50 and a free pint! 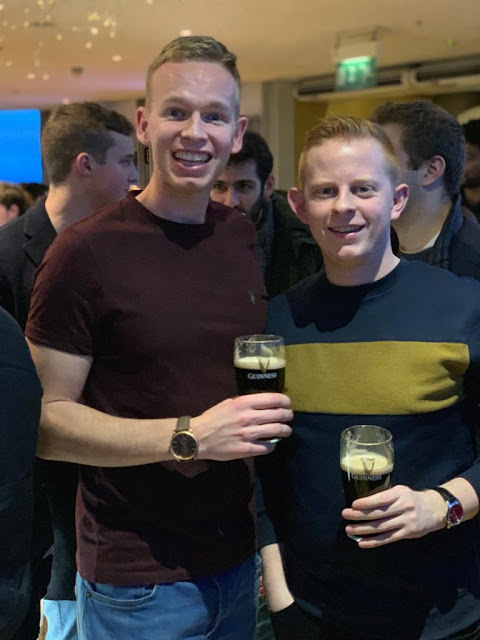 All in all, we had a great whistle stop weekend in Dublin. 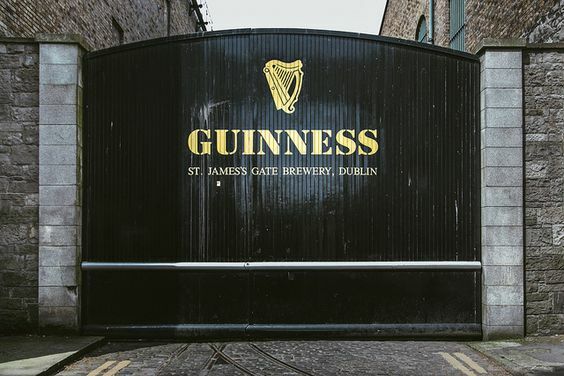 Temple Bar and Guinness Storehouse are must sees and we'd definitely go back to explore the city some more! 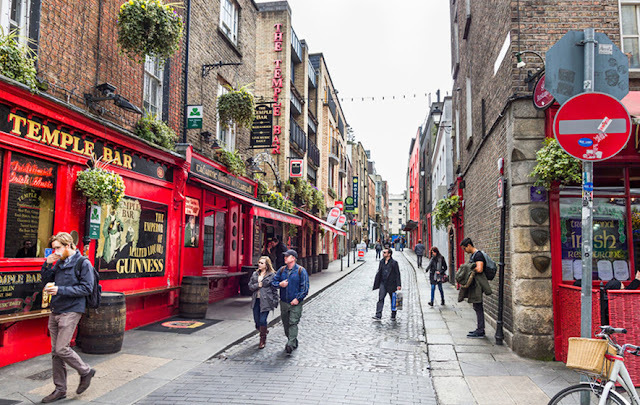 Have you ever visited Dublin before? What were your favourite things to do? Looks like you have the most amazing time! I'm so jealous! I've always wanted to visit Dublin! It was so good, very expensive but worth it for a little weekend break! I definitely recommend the Guinness tour; so much fun! Looks like you had a great time - definitely made me want to visit! Definitely worth a visit, everyone is so friendly too! I need to book another city break now, let me know if you have any recommendations! Ooh this is so helpful because Dublin is on our travel list (mainly my other halfs) so it's great to see what you'd recommend. All of this food looks so good and I love Mexican so The Hungry Mexican sounds right up my street! Glad you had a lovely time. Ahh amazing, if you get to go definitely let me know what you do when you're there! The Mexican was so nice and definitely great to soak up the alcohol from Temple Bar! If you go to Dublin, definitely check out the Pizza place, so cute and SO delicious! You should definitely visit if you get the chance. There are loads of fun things to do and places to explore! 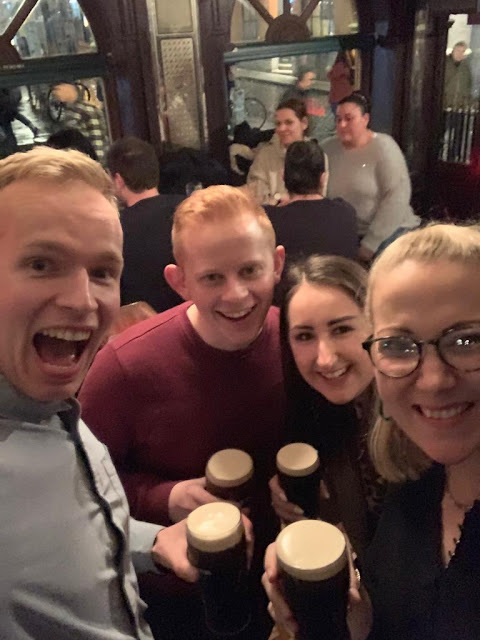 It sounds like you had a great time in Dublin!